80% of India’s 150GW energy requirement is met from imported petro-crude. The country is mandated to blend 5% green biofuels into gasoline and diesel by its National Biofuel Policy (2009). However, India today has no diesel substitute of note while barely managing to achieve circa 3.3% bioethanol blending into gasoline. The use of surplus agricultural residues and other renewable sources of energy could lead to partial or full replacement of petro-derived fuels, ensuring a sustainable energy supply for the country. 2G Ethanol technology developed by the DBT-ICT Centre, which produces ethanol from agricultural residue feedstock, has the potential to significantly reduce emissions from the transportation and agricultural sectors in India. It also promises added social, economic and environmental benefit such as revenue for farmers, job creation and less agricultural waste. The continuous processing technology converts biomass feed to alcohol within 24 hours. Competing technologies from the developed economies can take anywhere from 3 to 5 days. The plant design also has unique features such as advanced reactor design and separation technologies with rapid reaction regime operations. 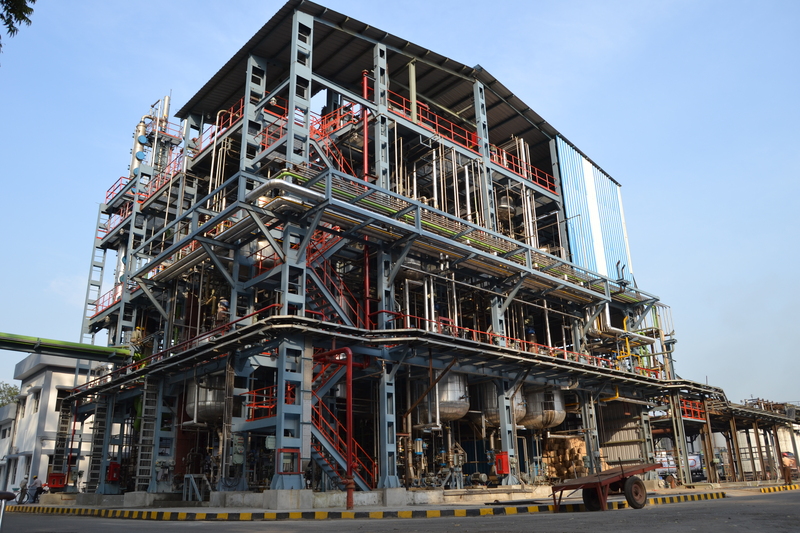 The technology was proven at 1 ton/day scale during Phase 1 at the India Glycols site. This was later scaled up to a demonstration scale plant of 750,000 litres annual alcohol capacity. The DBT-ICT Centre, along with industrial partners, Bharat Petroleum Corporation and Hindustan Petroleum Corporation, are already on the way to design and scale-up the technology to 400 ton/day scale. Larsen & Toubro Hydrocarbon Engineering has signed on as the engineering partner for the commercialisation of the technology. The aim is to demonstrate that the technology is cost-effective and easy to scale up. The impact of significant usage would be a net reduction in the import of crude oil and of carbon emissions. The conversion of agri-waste to ethanol would help achieve the proposed 20% target of ethanol blending with biodiesel.